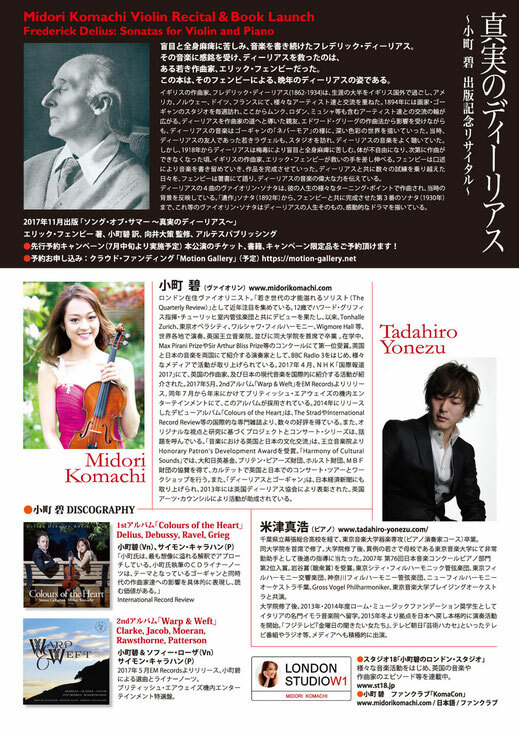 This recital will launch Midori Komachi's first publication, a long-awaited Japanese translation of Delius as I knew him (1936) by Eric Fenby. 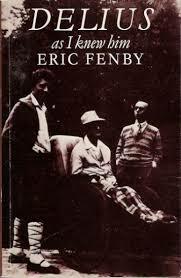 One of the most affecting true story in the history of music, Fenby's memoir expresses in extensive detail of his collaboration with the English composer Frederick Delius (1862 -1934). 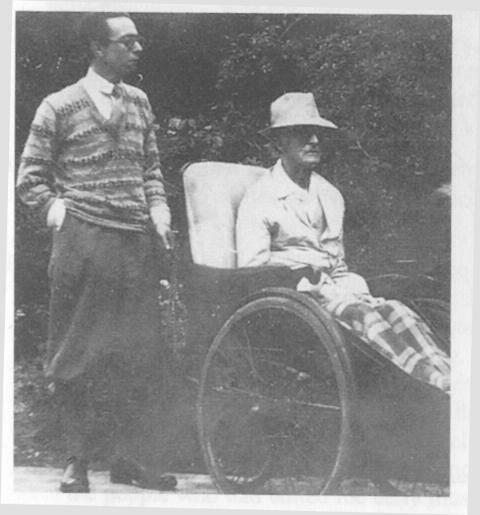 Delius suffered in pain, as he became paralyzed and blind towards the end of his life, no longer able to compose. Fenby, then a young composer in Yorkshire, travels to Delius's residence in France, and offers his help to complete the composer's works by dictation. 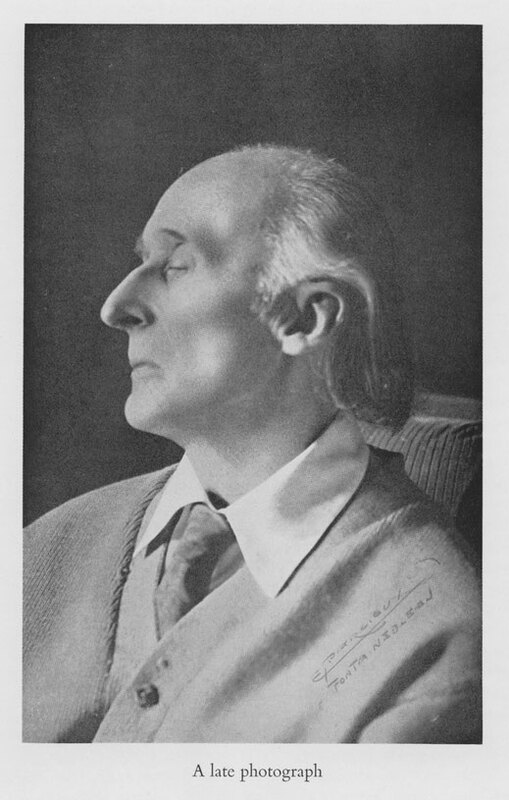 Through the countless struggles, Fenby worked with Delius to complete many masterpieces including A Song of Summer, Songs of Farewell and Violin Sonata No.3. This book has been one of the most important resource of Delius, and has inspired many subsequent works through time - including Ken Russell's BBC film 'Song of Summer' (1968) and a song by Kate Bush, entitled 'Delius'. 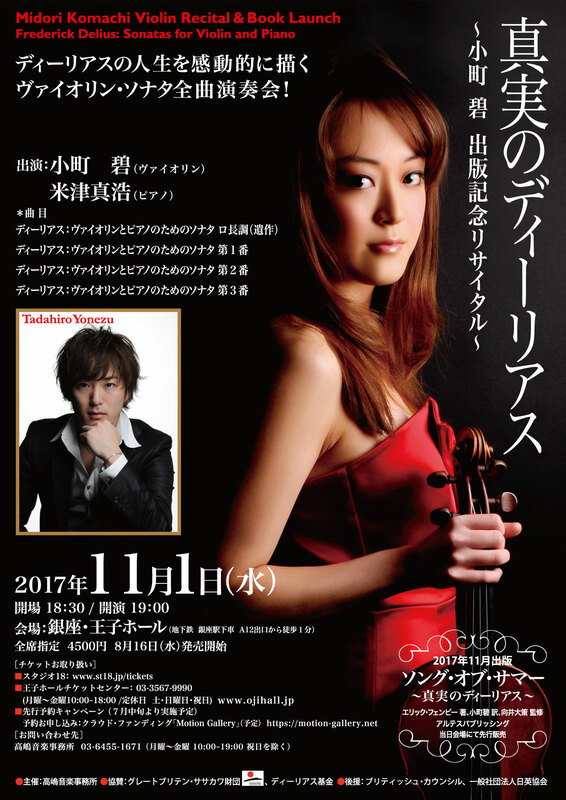 In this recital and book launch, Midori will introduce all four Violin Sonatas by Delius, which were written at important turning points throughout his life. Starting from the rare Sonata in B major Op.Posth (1892) written with youthful spirit and illustrating a dream-like Norwegian landscape, each Sonata reflects the composer's path through his development, and expresses the dramatic emotion of life. By the last few passages of Violin Sonata No.3(1930), which completed with the help of Fenby, the harmonic colours are reflections of everything that this composer saw throughout his journey: in America, Norway, Germany and France.